We live in a world where people make serious profits from telling women to change how they look on the outside. Between the diet and health markets and then the skincare and beauty markets, we are told often that we can do and be better than the natural reflection that we see in the mirror. I’m sorry, but I simply do not buy into that. For Women’s Monday night bible study with my church we are reading Captivating by John and Stasi Eldredge. I am only on chapter four of the book so far (this session of bible study just started) and back in chapter two this message was birthed. That chapter talked about Eve and how through her God showed His beauty in the world. She was a completion, not an afterthought, and through her beauty we are given several important attributes: beauty is powerful, it speaks, it invites, it nourishes, it comforts, it inspires, it is transcendent, and it is essential. To fully understand what the husband and wife author team meant by this, I highly recommend reading this book (it has done nothing but bring tears to my eyes since page one). What is interesting about the attributes of beauty is that this is what we women were created to do and be. 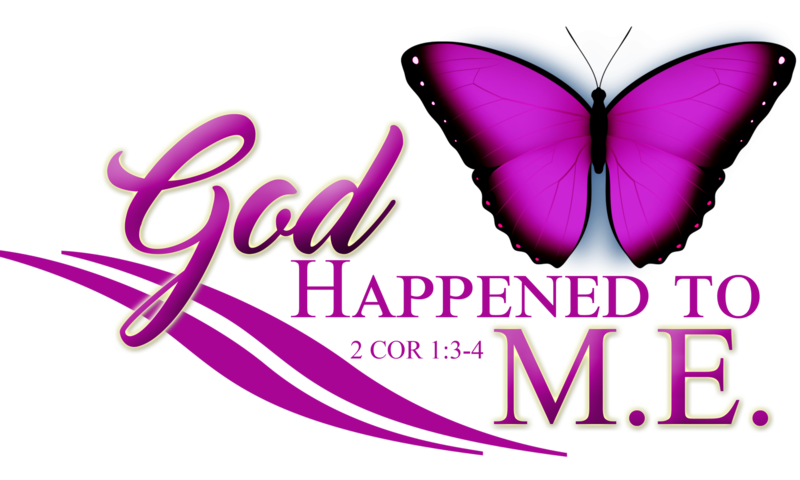 Sorry guys, what is to follow may be geared towards my sisters but I pray you find a blessing in there, too! Beauty just is. It does not have to try or go through any extra steps or convoluted processes to be beautiful, it already is. Before you even look at the Fall of Man through the consumption of the forbidden fruit, we see the beauty that naturally existed in Eve, her relationship with God and Adam, and the world that God had created. The world was beautiful because God had created it. God had created man and woman in His own image, and they were naturally beautiful…because our God is beautiful (Genesis 1:26-27). And Eve’s very being was a completion of God’s beautiful work in this world. Remember, He rested after He created Eve (Genesis 1:31, 2:1-3). As you read the story of Creation (which I highly recommend… just click here), you will see what I like to call the “issue” of Eve. In this sense, the word issue is being used to mean an interesting topic of debate or discussion. Eve was the first woman to walk this earth and, prior to the Fall, she roamed freely with her God with no concerns as to how she looked or what Adam thought of her. I can only imagine the beautiful simplicity in that! Not having to worry about applying makeup, picking out the “right” outfit, or even making sure that that one piece of frizzy hair would cooperate with her. I can just imagine the peace that she experienced on a daily basis. So why can’t we have that now? Ok, I get it- the Fall happened, and things are somewhat different (actually, very different) but the beautiful simplicity of God has not changed. His own word says that He is the same yesterday, today, and forevermore. So, if beauty, in its most natural form, was pleasing to God then, why do we buy into the idea that we must do so much more now in order to be beautiful? We spend thousands of dollars each year on the latest beauty fad, makeup kits, diet trends, and skincare products in a vain attempt to get back to our pre-Fall beauty- that is, the beauty that existed in Eden before sin entered. A sad reality that we must face is that no amount of money that we spend on earth will ever take us back to the pre-Fall beauty. No amount of money spent can ever undo the sin that was introduced into the world through the consumption of fruit from the forbidden tree. No amount of money spent on external beautification will ever truly change us and bring us back to God. That type of change can only occur on the inside. When I was in middle school, I wanted to be a beautician so badly. I wanted to go to a high school that would prepare me for my career in hair care and I dreamed of making women look beautiful. As God would have it (actually, my mama vetoed that decision), I did not go to that school and I gave up on my dreams of becoming a famed beautician. While I am not saying that there is anything wrong with being a beautician, God shifted me from making women look beautiful to [hopefully] helping women see the beauty that lies within them. Beloved, did you know that you are beautiful beyond words? The you that you see in the shower- wrinkles, crevices, love handles and all- is absolutely beautiful to God. I am so glad that God does not require perfection- because He could… and I would be outta luck. Instead God just requires a ready and willing heart. Thankfully, He does not look at the outside, but instead looks directly in our hearts. That is where beauty lies- the beauty that is important to Him. As much time and money as we spend teaching people to change their outward appearance, I wish we spent the same telling them how to draw closer to God. Don’t get me wrong, cleanliness is still important and good hygiene is a must, but true beauty cannot be found in what we apply on the outside. Beauty just is; it is eternal and INternal. My dear sister, I pray that you are able to receive what my heart is saying to you- you are beautiful just the way God created you. Thinking back to Eve, the woman that God created in His very own image, do you notice how we never read what she looks like physically? All we know about her looks is that she was created in God’s image with a rib from Adam. That’s all that mattered then and that’s all that matters now. Your beauty is not determined by your or man’s standards; your beauty is innate because God made you in His image. Daughter of Eve, you are BEAUTIFUL, and I pray that you accept that with your whole heart… and with accepting that truth, I pray that you would seek to let the beauty of and in your heart flow outwards in all that you do and are. Next PostNext Father, am I beautiful?